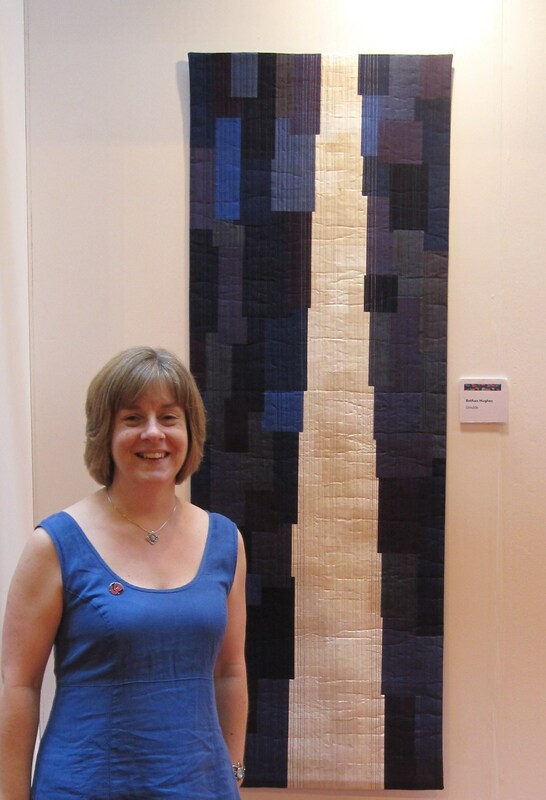 Bethan’s quilt Simdde was exhibited in the CQ@10 gallery exhibition at the Festival of Quilts 2012. 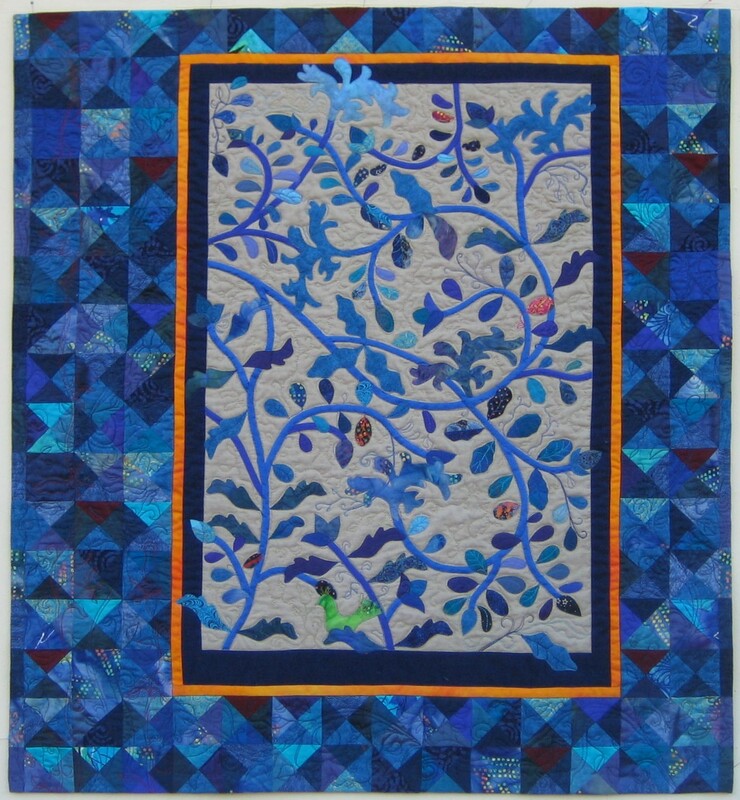 Contemporary Quilt (CQ), a specialist group of the Quilters’ Guild, is celebrating its 10th birthday this year. Members were invited to submit quilts created in response to a photograph of a Cornish tin-mine by Tony Howell (tin being the symbol for a 10th anniversary). 23 were selected to form an exhibition which had its premiere at the Festival of Quilts last week. The CQ@10 exhibition will tour to Ledbury and Helmsley and possibly other venues. 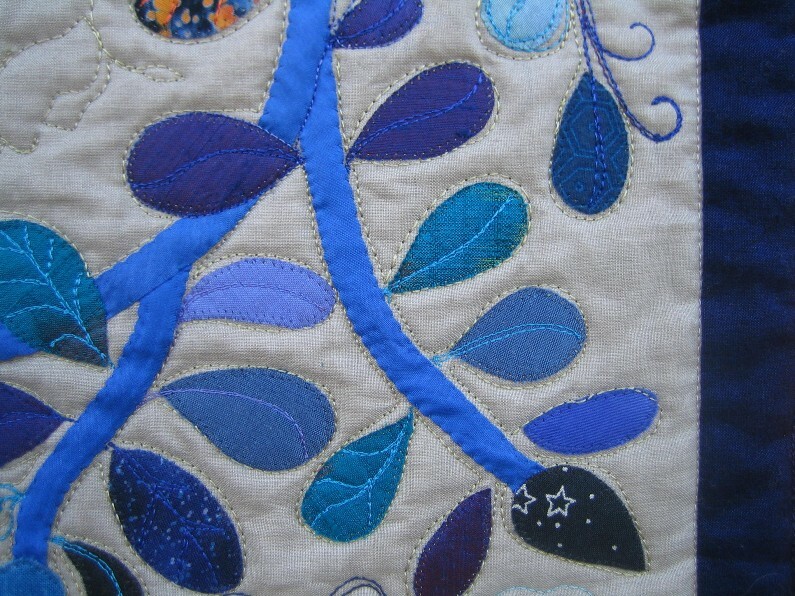 Judith Barker’s quilt, Illuminating Blue, is showing with the Cabot Quilters’ Something Borrowed, Something Blue collection which starts a UK tour at the Great Northern Quilt Show in Harrogate on August 31. 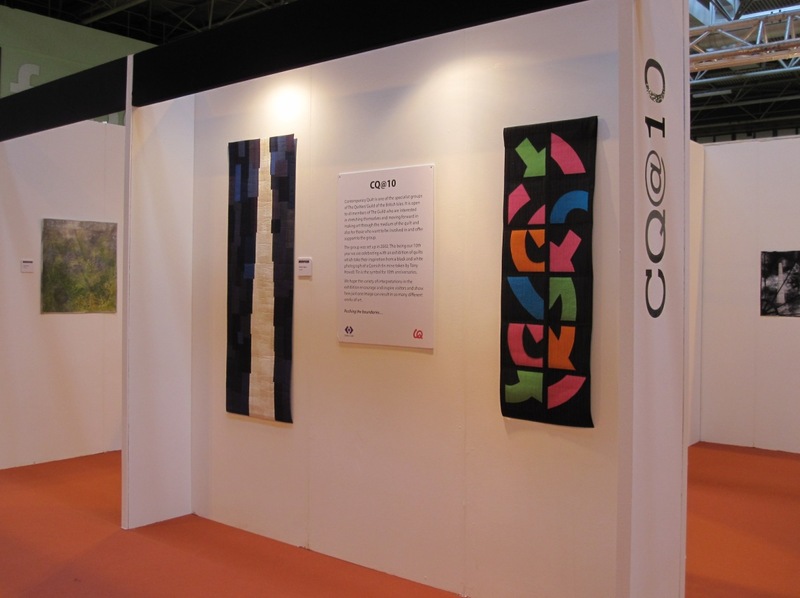 Cabot Quilters are quilters who have all been associated with Cabot Quilting Conferences as students of teachers and their quilts have travelled to the US and Australia as well as most of the Grosvenor shows in the UK. There are an illustrated article about the collection in the September 2012 issue of British Patchwork and Quilting. Illuminating Blue was inspired by the exhibition of illuminated manuscripts at the British Library last year, and reflects the rich detail of tendrils, leaves and flourishes of the manuscript pages. Judith has captured this exuberance in her quilt. 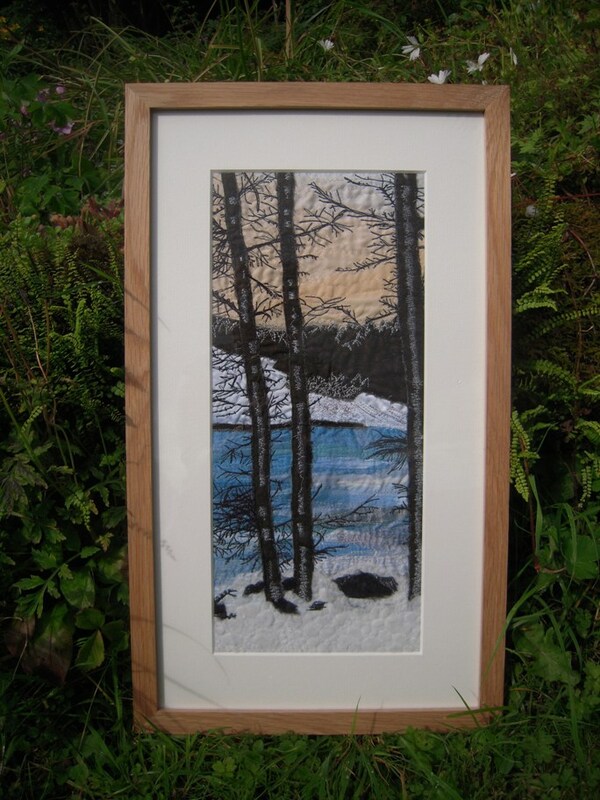 Cwilt Cymru member Janine Jones is also an active member of the Embroiderers’ Guild and her work is included in the All-Wales Region Exhibition of Embroidery put on by the Embroiderers’ Guild of Wales at the Pierhead Gallery Cardiff during September. The piece was made for a Serentex challenge to produce work on the theme of trees and a specific season.